The Ottoman Expansion in the 16th Century put Slovakia in line for conquest after the invasion of Hungary, just to the south. The castle at Filakovo as fortified is intended as a bulwark against invasion, and remained such: without renovation into Renaissance or other later style. It has not served as a mere residence. 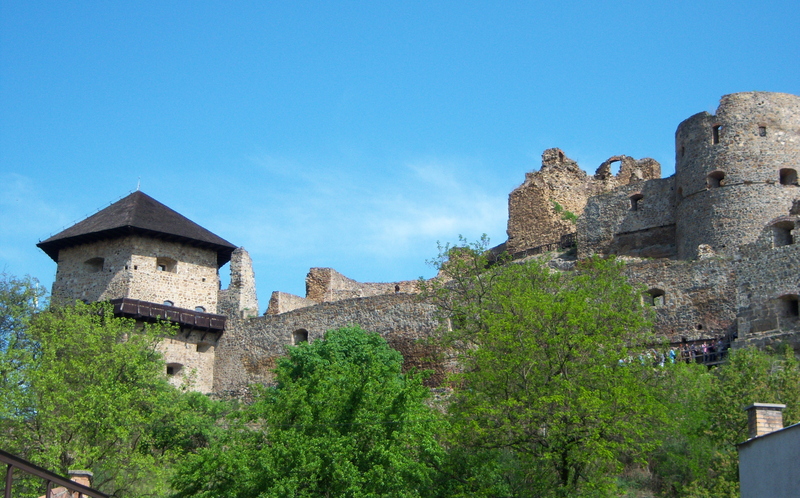 It may have been built by the Kacsics clan in the 13th century, see http://slovakia-travelguide.info/filakovo.html. We stopped there on our way from Zvolen to Kosice. A defense against the Ottomans, 16th Century. Filakovo, Slovakia. Stop to buy a snack in a local supermarket in this mid-size town, and find an element of the old police state. I tried to photograph my son at the cashier conveyor belt, just to show the fine variety of things to buy. Immediately appeared a policewoman, in uniform and cap and waving at us with both hands, away and pointing to the camera, shaking her head, nonono. We tried to show we just wanted a simple photo, and finally left.